Five football updates as the season approaches. Count down with us, won’t you? 1. Falcons on the Web. Don’t bother checking your local listings for the Air Force-Idaho State game Sept. 1: It’ll be available online-only after talks broke off with a regional sports network, according to The (Colorado Springs, Colo.) Gazette. Last year’s opener against South Dakota State was broadcast, along with many of the Falcons’ contests, on The Mtn., a regional sports network that went off the air earlier this year. Air Force will continue to pursue broadcast deals for two other home games without TV clearance, according to the Gazette report (click here for our updated academy football schedule, TV coverage included). 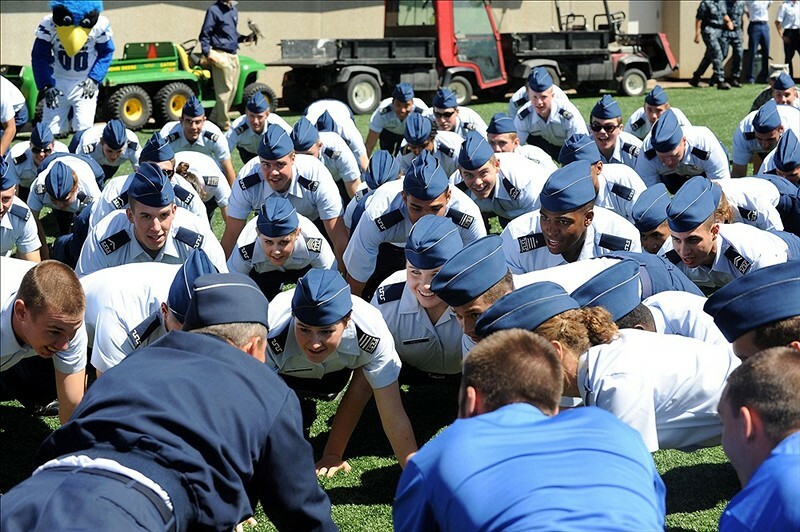 Fans worldwide can see the season-opener at www.goairforcefalcons.com. 2. CBS Sports previews. Speaking of cable TV clearance, CBS Sports Network will be the home to many service academy games this season (to repeat, click here for our updated academy football schedule, TV coverage included). The network has capsule previews of all three schools online, with analysis from Ron Zook, Aaron Taylor and Randy Cross. It’s a great way for Army, Navy and Air Force fans to get caught up before kickoff. 3. Navy updates. According to reports, everybody’s finally passed the academy’s fitness test. Bill Wagner at The (Annapolis, Md.) Capital has this recap from the weekend’s scrimmage, in which Blue beat Gold, 45-0. Why so one-sided? The headline folks at the South Bend (Ind.) Tribune may have put it best: “Navy frontliners drub the subs.” And this piece by NBC Sports’ Notre Dame blog ranks the Mids as the 10th-most dangerous opponent the Fighting Irish will face all season. 5. Syracuse updates …? Not a service academy, but military just the same — the Orange wrapped up a week of training at Fort Drum, N.Y., with a scrimmage Saturday. Before that, paintball. And next year, maybe more of the same.